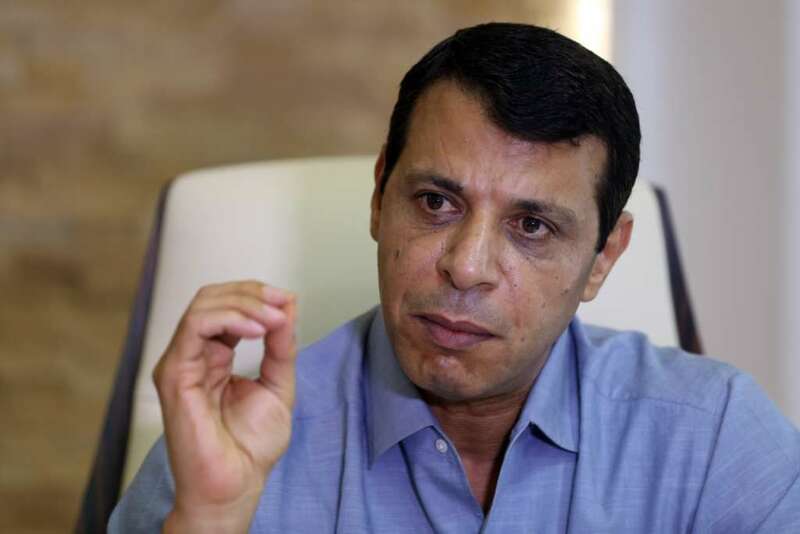 Cairo – Hamas and the dismissed Fatah leader Mohammed Dahlan are close to reaching a deal that would grant the Palestinian official a role in the administration of the Gaza Strip. In return, he will receive Egyptian assistance to ease the blockade on Gaza residents, as well Emirati financial support. A Hamas delegation is currently present in Egypt to hold the first direct meeting of its new bureau after previously holding such meetings through a video-conference system. Egyptian and Palestinian sources participating in the talks currently held in Cairo said that a Hamas delegation discussed with officials from Dahlan’s Democratic Reformist Current a plan to dissolve the Hamas administrative committee ahead of holding general elections and forming a new national unity government. They said that negotiations held between a high-ranking Hamas delegation and Cairo officials include Hamas leader Ismail Haniyeh, Hamas leader in Gaza Yehya Sinwar and his deputy Khalil al-Haya, in addition to Egyptian security chiefs, including Egyptian Intelligence Minister Khaled Fawzi. Another source said that the crisis between Qatar and the four anti-terror Arab states was also tackled during the talks. “An important part of the current efforts aim to decrease the Qatari-Turkish influence in return of enhancing Egyptian-Emirati support and cooperation with Hamas and Gaza on all levels,” the source added.